Dohm is a traditional knit hat that started with combining chucky wool knits with soft fleece to create warm, comfortable winter hats. Dohms seven gauge knits are all the rage and quality of the chunky hats but in a thinner knit. Most important all of Dohms knit hats are designed on antique hand flat machines. That’s right no power cord and all the lights in the knitting room arerun on solar power! 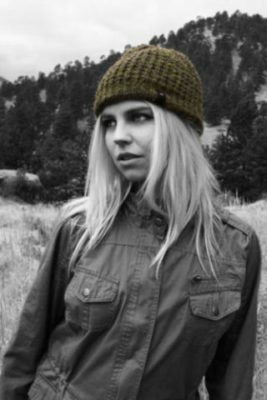 Unique patterns and exotic yarns-Alpaca, Super Fine Merino, Cashmere, American Bison (Buffalo), Yak, and Musk Ox make Dohm hats true American originals. Dohms Merino and Cashmere wool comes from Zegna-Baruffa, a 160 year old Italian yarn manufacturer that is the pinnacle of European Environmental Standards. Alpaca originates in Arequipa, Peru collected and processed from Indigenous farmers to Inca Tops which was founded in 1965, provides noble fibres of unrivalled beauty and fine quality. American Bison is gathered from Texas to Montana, on small hobby ranches to the massive Ted Turner Ranch which is approximately two million acres! You may ask, “What makes a quality knit hat?” Fit. Dohm hats have a relaxed, stretchy fit with superior shape retention. Two, Function. Our double knit construction creates a lofty warm fabric that will withstand the coldest temperatures, is naturally water resistant; original genetic properties to keep warmth in, push moisture out and regulate heat. And many of the hats are sewn with a PolarTec Fleece headband to for extra comfort. Third, Fiber. All natural hand knit yarns offer an array of color and texture. Exceptional fibers. Superior quality. Knit in the Rockies!